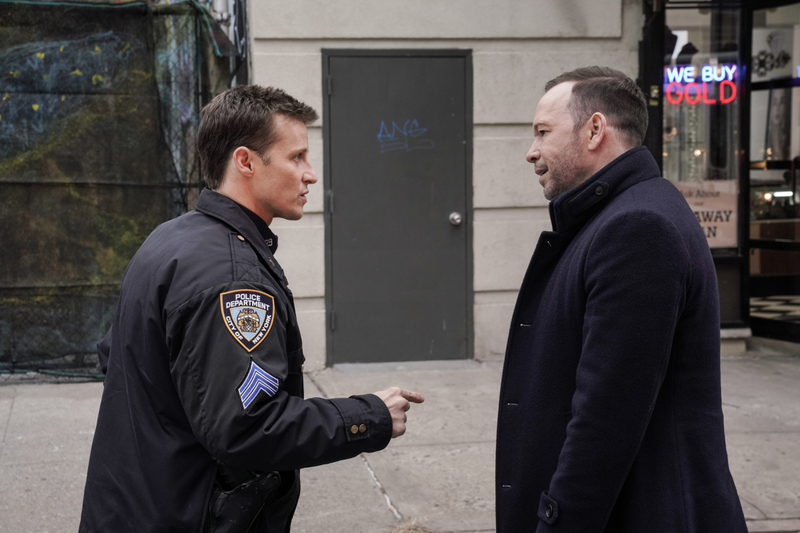 Preview images, spoilers and guest cast list for the Blue Bloods episode "My Brother's Keeper"
It’s Reagan versus Reagan when Danny goes against Jamie’s direct order during a hostage negotiation. Also, Nicky asks Erin for help when her friend is in jeopardy of losing his scholarship because of a crime he didn’t commit, and Frank helps a distraught officer who accidentally shot an innocent girl, on BLUE BLOODS, Friday, Feb. 8 (10:00-11:00 PM, ET/PT) on the CBS Television Network. "My Brothers Keeper" -- It's Reagan versus Reagan when Danny goes against Jamie's direct order during a hostage negotiation. Also, Nicky asks Erin for help when her friend is in jeopardy of losing his scholarship because of a crime he didn't commit, and Frank helps a distraught officer who accidentally shot an innocent girl, on BLUE BLOODS, Friday, Feb. 8 (10:00-11:00 PM, ET/PT) on the CBS Television Network. Pictured: Will Estes, Donnie Wahlberg. Photo: Patrick Harbron/CBS ÃÂ©2018CBS Broadcasting Inc. All Rights Reserved. Recurring cast in “My Brother’s Keeper” includes Andrew Terraciano (Sean Reagan), Abigail Hawk (Abigail Baker), Gregory Jbara (Garrett Moore), Robert Clohessy (Lt. Gormley), Steven Schirripa (Anthony Abetamarco), James Nuciforo (Nuciforo), and Bebe Neuwirth (Kelly Peterson). Guest stars in the episode include Callum Adams (Billy Coyle), Aaron Costa Ganis (Officer Douglas Green), Derek Peith (Ramon Nunez), Caroline Basu (Anna Nunez), Jack Cambria (Lt. Jack Cambria), Stephen James Anthony (Bartender), Johnny Frances Pozzi (Perp), Becky Boggs (Waiter), and Daron Ross (ESU Captain).